Have you ever been asked to teach a “Yoga for Athletes” yoga class? Maybe you were asked because you’re community knows you’re an avid runner in addition to having a yoga practice. Surely, they assume, you must know exactly how to teach yoga to athletes of all kinds. Right? However, if your class is full of tennis players, your personal experience of running marathons is not necessarily going to help you serve (pun intended) the students in front of you. The notion of “Yoga for Athletes” as a title for a class is a disservice to the broad and diverse number of sports and athletic endeavors out there, each with their own specific demands on the human body! For example, a golfer has a totally different set of aches, and pains in their body (from swinging a golf club repeatedly), and performance needs than those who ski. Skiers often complain of knee problems and muscle soreness in the legs. Our yoga studio at 90 Monkeys is located in Boulder, CO, one of the largest cycling capitals of the world. 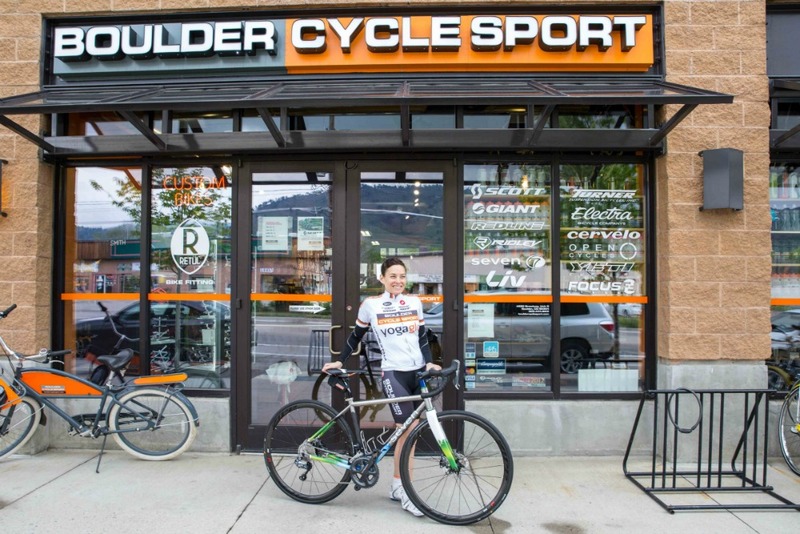 We recently collaborated with local bike shops, Boulder Cycle Sport and Pro Peloton to offer a Yoga for Cyclists Program taught by our graduates who are trained to serve cyclist’s distinct needs. Some riders work hard to be aerodynamic on the bike in order to help cut seconds off their times. Pedaling repetition can create overuse issues, muscle imbalances, posteriorly tucked pelvises, over-worked quads, and tightness being hunched over the handlebars for hours at a time. A skilled yoga teacher knows what poses and parts of the body to systematically open in order to help enhance a cyclist’s performance, recovery, and longevity in the sport. You will be most effective helping athletes if you are either experienced in that same sport, or can put yourself “in their shoes” and seek to understand what their specific activity demands. Would it help if certain muscles in your body were stronger? Where do you feel the weakest? Would it help if certain muscles or parts of your body had more flexibility? Where do you feel the tightest? Where in your body do you get the most aches and pains after your workouts/games/matches? What’s the number one outcome you’re looking to improve in your sport? By learning more about an athlete’s sport specific needs, you can custom tailor a yoga experience that helps them reach their goals, perform better, win more often, and keep their bodies safe and strong. The next time you’re asked to teach a yoga class for athletes, tell them you’ll teach Yoga for “X Sport”, and tell them why it’s best if they choose a specific sport to cater to, rather than a potpourri class for jocks!